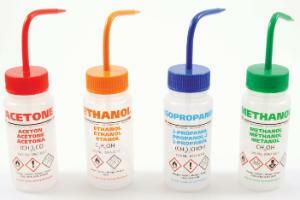 Multi-lingual wide mouth wash bottles featuring the patented DripLok® vapor venting valve that prevents solvent drips. 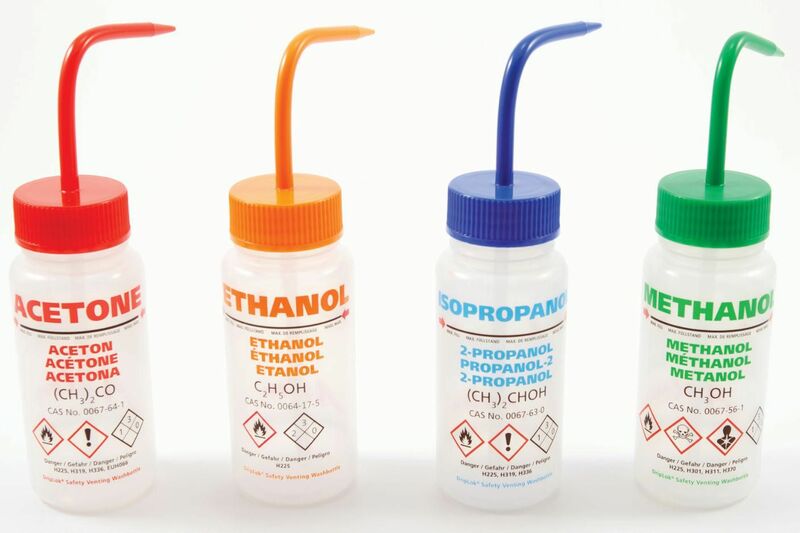 Choose from four solvent labels, in 250 mL or 500 mL, all including the new Globally Harmonized Symbols, NFPA diamond, risk phrases and safety information. 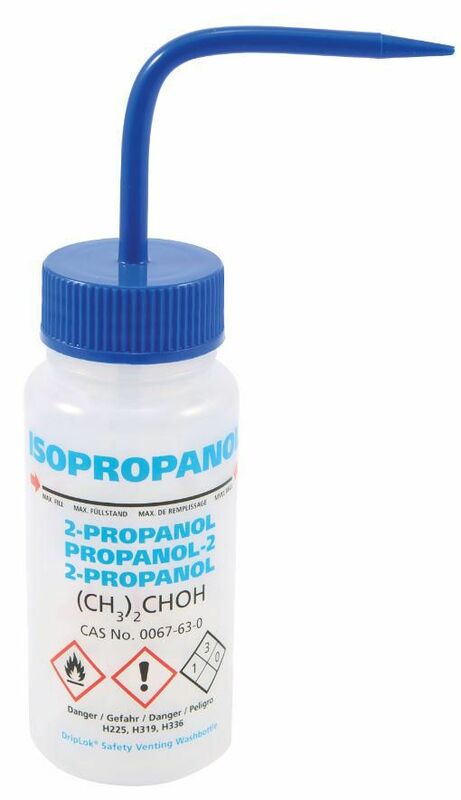 Sets of 4 include one of each wash bottle in a given size.